Francis Titus Banker, subject of this sketch, was born in Indiana, May 7, 1856, came to Clay county about the year of 1859, the family residing near Clay City for a short time, then moving to Zif township in Wayne county where, a little later his father conducted a store and was postmaster at Zif for many years. Francis T. is a carpenter by trade, which he followed for many years. In the year of 1912 he purchased the Brock House in Clay City, moved his family here and has continued to serve the public with boarding house and hotel accommodations these past seventeen years. 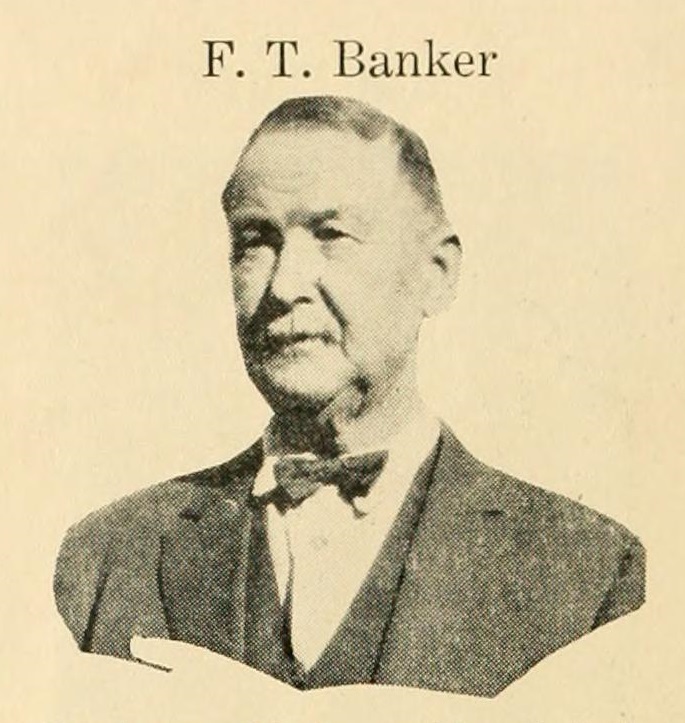 Upon taking charge of the hotel business, he changed the name to "The Banker House." He began improving, remodeling and has continually improved the building and surroundings until it is one of the best kept-up places in Clay City, and a most home-like place to stop for a meal or a month — he and his good wife specialize in making it just so. Mr. Banker is quite ingenious and has improved the idle time from the hotel business in installing light machinery in what he calls his work shop, power drive for lathes, band and scroll saws, and other equipment which he uses in repairing furniture, cabinet building, etc. He is very neat with this line of work; he enjoys it, and he does it during his leisure from his duties at the house. Possibly there is no one living who has not an enemy but if this man has one we've never heard of it. His character is such that the preceding remark is due him while he is living. He has reared a fine family of six children, all of whom are now in homes of their own. His greatest pleasure now is to have these children come to his home bringing the grandchildren for a visit with him and his home companion. Mr. Banker is a member of the Clay City Roister Club and is for Clay City.